My experience with authors who write in another author’s world has been mixed. On the good side you have the work that Janny Wurts did with Raymond Feist in the EMPIRE CYCLE. On the less impressive side you have The Valley of Shadows (2018). This is the fifth installment in the BLACK TIDE RISING series and takes a tangential track describing what happens with Tom Smith, the corporate security guru, Australian Special Forces stud and brother to Steve Smith, the main protagonist in the entire series. 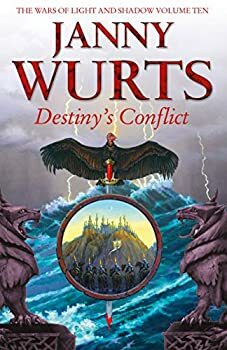 The wait for each installment in Janny Wurts’ THE WARS OF LIGHT AND SHADOW series can be pretty long and grueling. Wurts is a Mastercraftsman and the amount of labor she puts into telling her story is evident in the finished product. She never fails to find the perfect (and often uncommon) adjective to paint a vivid and precise picture of what is happening in her story. Each of Wurts' meticulously-crafted novels is absolutely worth the wait! 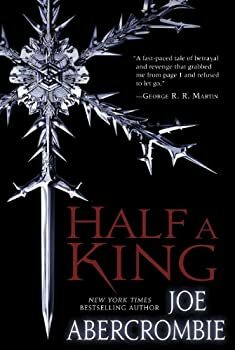 It’s always a surprise when a fantasy novel can carry real meaning in depicting modern issues. 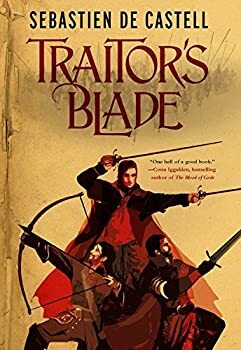 Things like pride, avarice and jealousy that can be pervasive in certain segments of the social structure of a modern world can be so powerfully demonstrated when people use swords and magic to actually kill each. L.E. Modesitt Jr.’s Treachery’s Tools was able to provoke those comparisons for me. 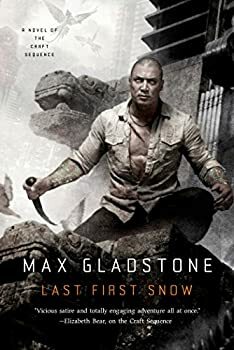 I will admit upfront that it took me quite a while to get through Last First Snow (2015), the fourth book in Max Gladstone’s CRAFT SEQUENCE, which would seem weird considering how much I enjoyed the other books in the series. At this point, I am just very glad that I did read it. Gladstone may have taken a while to capture my interest, but by the end of the story, I was reminded why I like his work so much. Three Parts Dead (2012) is a wonderfully inventive story. 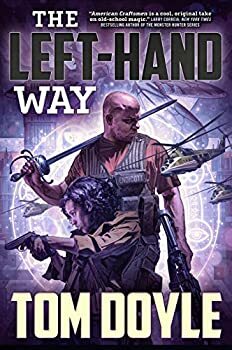 Max Gladstone blends a plethora of ideas, ranging from vampires to magic to steampunk technology and adds interesting characters and a plot that is predictable but still enjoyable. The result is memorable. 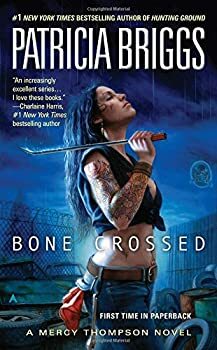 In Bone Crossed, the fourth installment in the Mercedes Thompson series, Mercy is learning to cope with her new role as the mate of the local werewolf pack while still suffering the effects of a horrific assault that occurred at the climax of Iron Kissed. Complications from inter-species conflicts remain a central theme, and her relationship challenges don’t simply fade away, but Mercy Thompson does not cry mercy. 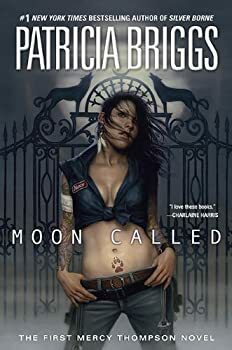 Patricia Briggs, who has explored werewolf and vampire societies in the first two volumes of her MERCY THOMPSON urban fantasy series, turns her attention to fae society in this third volume. 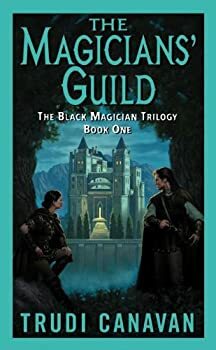 In the second volume, Blood Bound, Mercy had been lent a powerful knife, a fae treasure, by Zee, her former boss and a fae, to kill a demon-ridden vampire. When Mercy used the knife for an additional and very much unauthorized purpose, she knew there would be consequences and that she would need to repay the favor in some way. It turns out that owing a favor to one of the fae is pretty much as dangerous as owing a favor to a vampire. THE IMAGER PORTFOLIO has hopped all around the chronological history Solidar, from the very beginning when Imagers were feared and forced to hide or else be killed or enslaved, to the very end when they are a powerful arm of the government. Madness in Solidar falls in the middle and is one of the bleaker installments in Modesitt’s series. You need to have read the previous eight books before picking up Madness in Solidar. 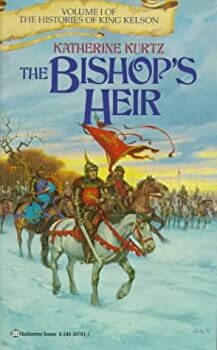 Understanding the plot of this book depends on knowing a lot of previous history in the series. I was once in a Dungeons & Dragons campaign where the Dungeon Master, a good friend of mine, had grown weary of my bard’s prowess and so decided to try his damnedest to kill him. And so my group eventually ended up inside a large spinning room with a multitude of doors, through which exited a succession of various angry creatures, singly or in large groups. 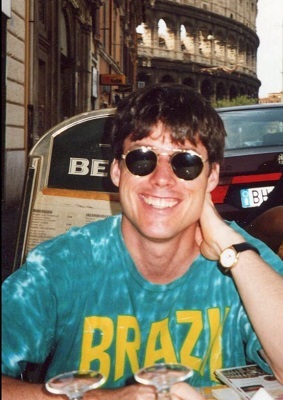 It was fight, momentary rest, fight, momentary rest, fight, mome-, well, you get the idea. 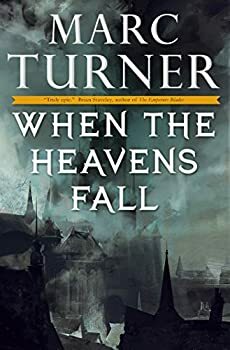 That night came back to me while reading Marc Turner’s When the Heavens Fall, which like my group’s experience in that campaign had a good amount of travel, lots of random fighting, and not much character development, though to be honest, I had more fun with the D & D.
It's the first Thursday of the month. You know what that means. Time to report! What is the best book you read in February 2015 and why did you love it? It doesn't have to be a newly published book, or even SFF. We just want to share some great reading material. 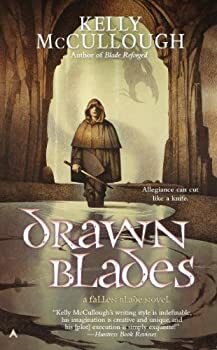 Feel free to post a full review of the book here, or a link to the review on your blog, or just write a few sentences about why you thought it was awesome. 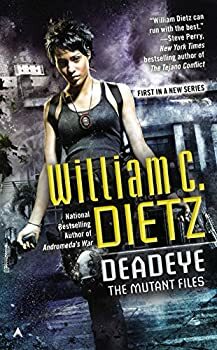 Deadeye is a new novel, the first in THE MUTANT FILES series by William C. Dietz. 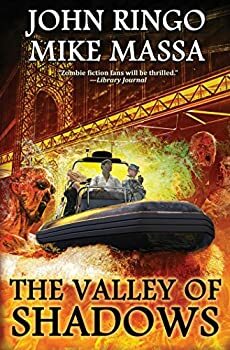 After reading some of Dietz’s LEGION OF THE DAMNED books I was more than curious about what his work in a different genre would be like. 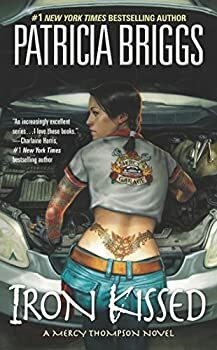 Deadeye feels like a post-apocalyptic zombie novel mixed with a police investigation novel: everyone is still some version of human and the hero is a police detective. 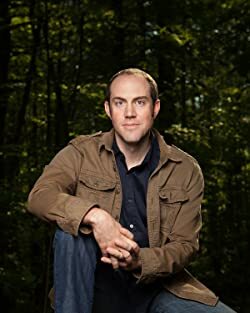 Welcome to Brian Staveley, who's on a blog tour for his second book, The Providence of Fire which I am greatly enjoying at this very moment. It's outstanding! (I loved the first book, too.) Fittingly, he's here to talk about the challenge of writing a sequel to a successful debut, and to ask you about sequels that you've enjoyed. One commenter will win a copy of both The Emperor's Blades and The Providence of Fire. 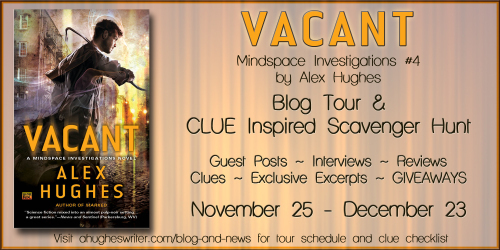 You don't want to miss these books! 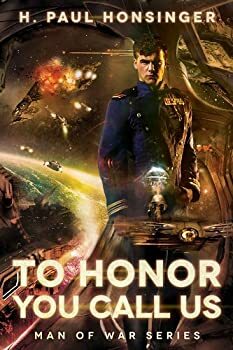 Andromeda's Fall is the start of a new prequel trilogy related to William C. Dietz’s LEGION OF THE DAMNED and it’s a fine place for someone to enter this good military science fiction series. Catherine Carletto is Empire nobility. Her family is incredibly powerful and wealthy and Catherine is on a sort of debutante tour after finishing college. She's pretty, she's rich and so everyone on the planets she visits wants to meet her. In the midst of a social event she is attacked by a Synth, a sort of highly advanced robot. Cat manages to evade the Synth, but in the process many people are killed and she gets wounded as well. Fortunately for Cat, her family and education have not left her without skills to survive. Heritage of Cyador is the eighteenth book in L.E. 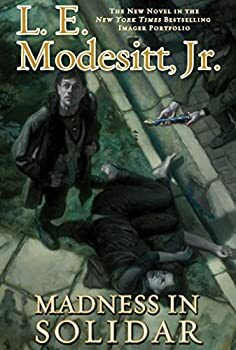 Modesitt Jr’s SAGA OF RECLUCE and is the immediate sequel to Cyador's Heirs. It continues the story of Lerial, the second son of the Duke of Cigoerne. 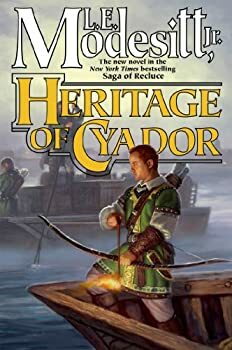 This is a typical Modesitt novel, which means it follows the pattern of having different political parties wrangling back and forth with each other until a hero is forced to use his magical skills in some unique and unexpected way to save the day. It's formulaic to be sure, but if you happen to like this pattern, you will enjoy the story.